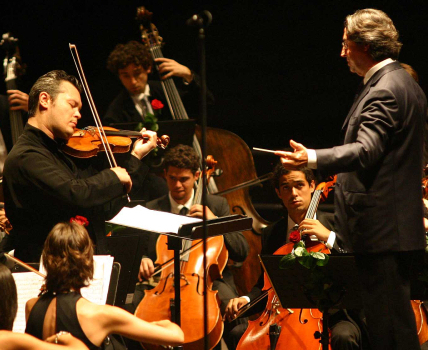 Out of the estimated 550 Antonio Stradivari Stradivarius's still in existence, the only certainty (aside from their nonpareil siren song) is the climbing value that multiplies with each performance (recently, a Strad "La Pucelle" sold for 6 million dollars). So why are these billionaire Strad fetishists loaning their priceless collectibles to baby-faced, myspaced musicians? The current Financial Times supplement How To Spend It delves into the karma of paying it forward. To access the article online, start here, and peruse the September 2008 issue. You can find the article on pages 8/9, 10/11 & 12/13. btw, if you're not ready to drop 6 million in a bidding war for your own Strad, you can still buy your own hand-crafted string instrument from a workshop in Cremona. Prices start at about 5,000 euro for violins ($7,000 USD), and 10,600 euro for cellos ($15,000 USD), just like buying a horsie! It was manufactured slightly after the :golden period: (1700-1720) from the Cremonian violin craftsman, who started making violins in the 1660s. Only 600 of the total 700 crafted instruments survive. 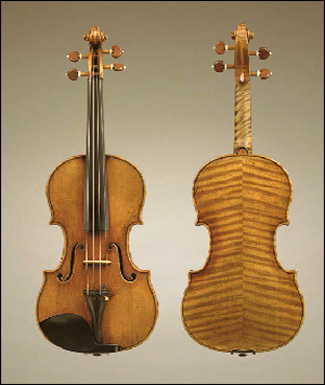 Previous Stradivarius Christie's auctions include a historic bid last year for a 1707 Stradivarius, that was sold for a record $3.5 million, the most for any stringed instrument. One thing that Opera Chic thinks is sadly lacking in classical music blogs: fresh meat for the gearheads. Photography blogs obsess about megapixels, image noise, zooms and wide angles (btw, Opera Chic is very proud of her brand new, 10 megapixels new Canon). Rock music blogs give their readers all kinds of info about this Gibson or that vintage Stratocaster. Those of us who fetishize their Steinways, and could stare for hours at the reddish deep brown varnish of a Carlo Giuseppe Testore cello (or OMG a quirky bass of his), instead, are often denied the pleasure that other nerdy, gearheads/otakus get from their favorite blogs.